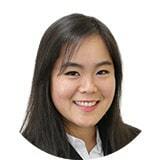 Wan San’s experience is primarily in the area of banking and finance. Her experience includes advising and acting for local and foreign financial institutions and companies on a wide range of domestic and cross-border bilateral and syndicated loan transactions, secured and unsecured lending, licensing and regulatory issues, asset finance, and derivatives. Wan San also regularly advises and acts for foreign financial institutions, purchasers, and lessors in aircraft and ship financing, acquisition, and leasing transactions. Wan San joined Zaid Ibrahim & Co. (a member of ZICO Law) as a Senior Associate in 2012 and became Partner in 2017. Prior to joining the firm, Wan San practiced as a lawyer at an established law firm in Kuala Lumpur specialising in the areas of banking, debt restructuring, corporate, and real estate transactions.